33 Haute couture accessories coming into being, searching for their own form and style, might be the best description for the installation No Reference at Platform21 in retrospect. 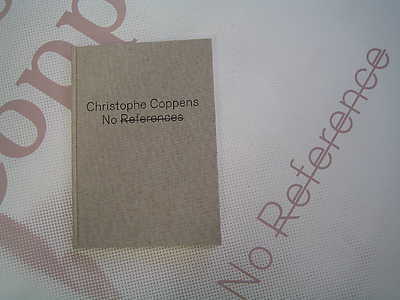 In the meanwhile the pieces have been wrapped and are no longer on show, but for those who still want to follow Coppens' special exercise, a beautiful book has been published. 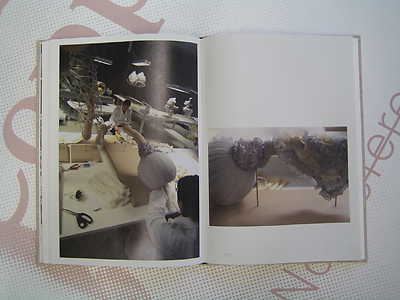 During the book launch, the Belgian couturier and critic and curator Pieter van Bogaert reviewed the design process in a public conversation. "It was a nice experiment, but I am very happy to return to making deer and rabbits." 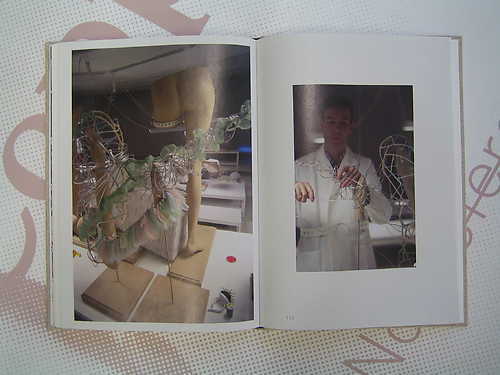 Pieter van Bogaert wrote the preface to the book No References, in which he questions whether it is possible to work without references in a fashion collection. He ends his preface: 'put the people themselves on the stage, make the visitor an actor, the user a director. Make your public part of the process.' You can read parts of the conversation in which Van Bogaert and Coppens look back on the project below. Coppens reacts: “At the opening there still were pins in all the pieces. We did so much sewing as those needles are now out, but I haven’t really continued and developed the pieces further. I should have worked for multiple days in a row with my own seamstresses from my studio in order to do that." Coppens: “Some pieces are really not made to be worn. Who wants to walk around with an enormous treadmill on her back? For this collection I looked at what a body is, what a socket or hollow is and what the pressure of an accessory on the body is. I did not start from zero, I looked how I could take that next step, but in principle all pieces still fit on a body and are thus theoretically wearable. Besides, it is all couture, which we means we could make it to measure on the client’s body. I was resenting starting on this collection, because it is about editing and deleting, which I find difficult. It was nice to think about it, but to carry it out was scaring me. But I had to. Up till then I had made two couture collections consisting of huge outfits, like a cape with a life-sized deer draped over the shoulders. The question I had to ask myself was: will I go even bigger and more spectacular or is it a bigger challenge to do the opposite? Normally you don’t get all the means to make a couture collection for nothing. Now it was literally given to me as a gift, which made me feel obliged to push myself further. Coppens: “I don’t have one favourite piece in this collection. My favourite is the whole: how one thing influences the other. Material, structure and colour: it all comes together. I also installed it to work that way. If I would have had more time and peace to work on the collection, I would have connected all the different pieces with each other to illustrate this in a literal way. 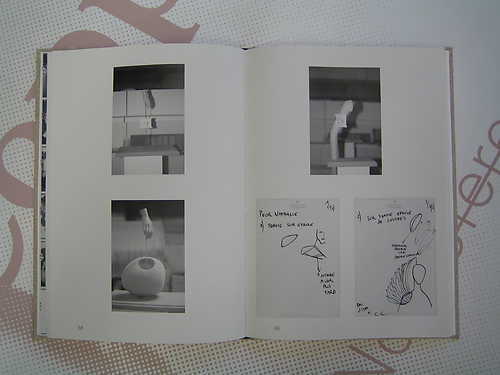 The book No References documents the creation of the collection in photos: from the first sketch to the installation in Platform21. With a preface written by Pieter van Bogaert and an interview with Han Nefkens, who commissioned the work, by Jose Teunissen. Click on the image and then click 'download' to read the article (in Dutch).